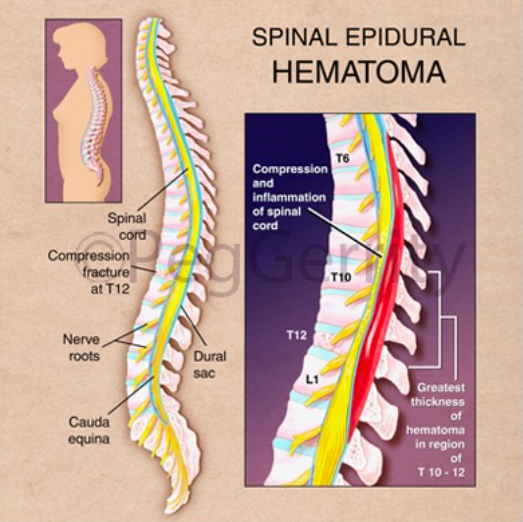 Spinal epidural hematoma is a collection of blood in the potential space between the dura and the bone, along the spinal canal. Significant bleeding can lead to spinal cord damage, causing neurological injury and deficit. This is a neurosurgical emergency. 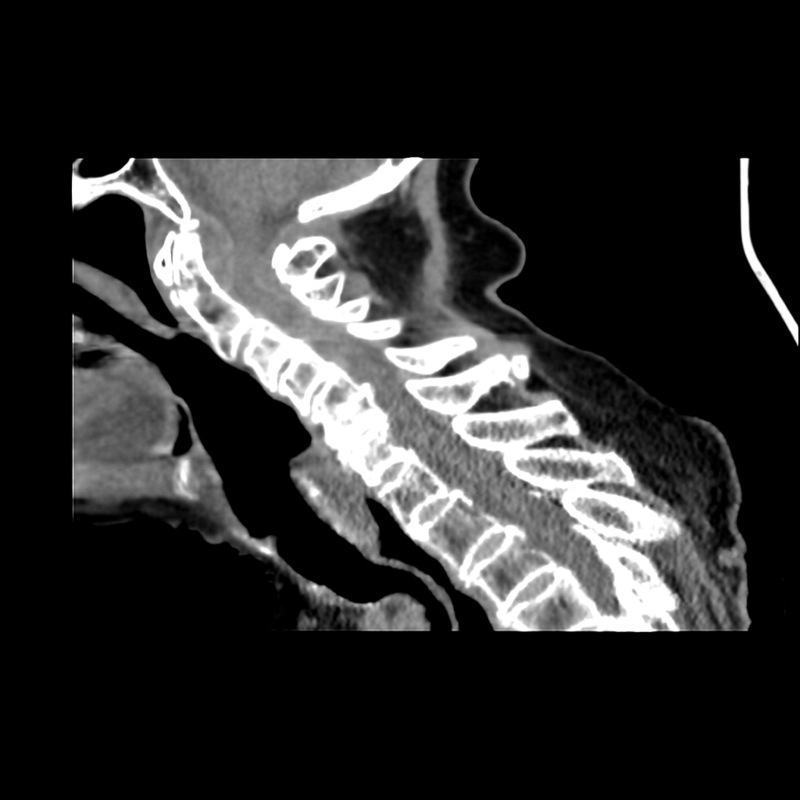 Patients with mild symptoms may be managed conservatively after consultation with a neurosurgeon. Patients managed non-operatively may receive dexamethasone. 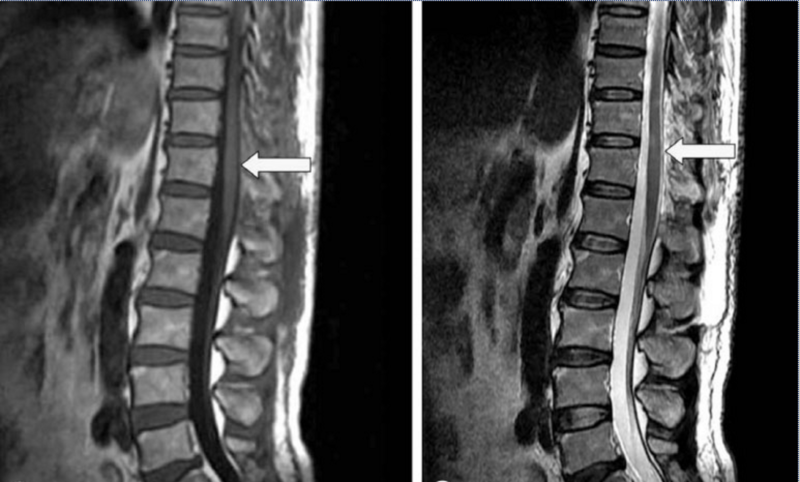 There have been rare cases of spontaneous recovery of spinal epidural hematomas. MRI is currently the best diagnostic modality for evaluating suspected spinal epidural hematoma. A CT can be obtained if MRI is not readily available but a negative CT in a high-risk patient should be followed with an MRI.